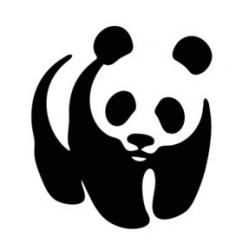 : WWF (The World Wide Fund for Nature) is an international non-governmental organization that deals with conservation of nature through a number of environmental management programmes. Our mission is to stop the degradation of the Planet’s natural environment and to build a future in which human lives in harmony with nature. WWF-Tanzania Country Office (WWF-TCO) is seeking to hire the “Freshwater Programme Officer’’ to be based in Dar es Salaam. Major functions: The programme Officer’s major role is to provide support in designing, planning, implementing, monitoring & evaluating and reporting the Freshwater programme activities and growth. Additional information, including detailed Terms of Reference, can be obtained via http://wwf.panda.org/who_we_are/jobs_wwf/. Applications must include a Cover Letter and complete CV with full contact details of three referees and should be addressed to the Fluman Resources Manager through hresources@wwftz.org by Friday 09th November 2018 at 4:30 pm. Only shortlisted candidates will be contacted and the interviews will take place in Dar es Salaam. WWF is an equal opportunity Organization. Overview: WWF (The World Wide Fund for Nature) is an international non-governmental organization that deals with conservation of nature through a number of environmental management programmes. Our mission is to stop the degradation of the Planet’s natural environment and to build a future in which human lives in harmony with nature. WWF-Tanzania Country Office (WWF-TCO) is seeking to hire the “Freshwater Programme Officer’’ to be based in Dar es Salaam. Facilitate capacity building to the team and stakeholders especially on Data collection, Environmental flows, and Climate Change Adaptation. Participate in the development of Freshwater Programme Plan, budgets, proposals for funding and Advocacy Strategy. Integration of other programmes like sustainable investments, CARE – WWF Alliance, Feeder Groups and partners meetings into the freshwater programmes work. Freshwater activities implementation, including preparation of events/meeting/workshop particularly inviting the participants and writing the meeting/workshop/event reports. Assist the FPC and Accountant on coordinating the funding request from the field staff and Consultants in order to implement their planned activities. Documenting evidence-based best practices at Monthly, quarterly, mid-term and end of the projects.